Lee's Hoagie House will open its first Center City location on Friday, Feb. 1, 2019. 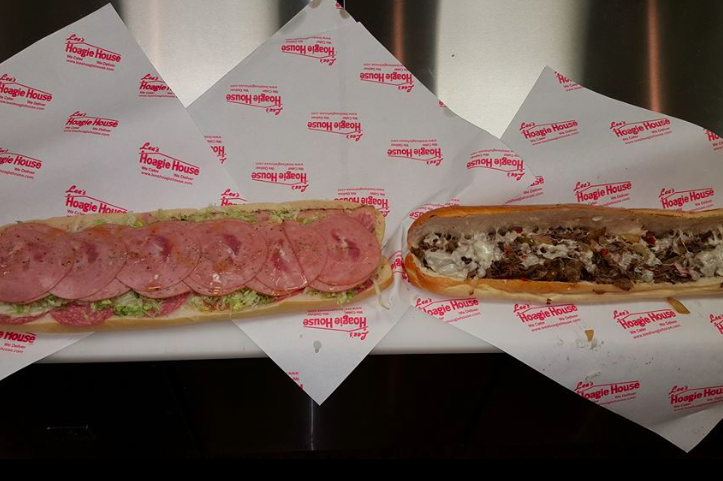 One of the Philadelphia' area's most popular hoagie joints will return to Center City on Friday in Washington Square West. Lee's Hoagie House, which has locations in the Northeast and at Temple University, will open up shop at 246 S. 11th Street, the former home of French wine bar Zinc. Monk’s Café named one of the 35 best bars in the U.S. The timing coincides with a big business day on Super Bowl Sunday, which will follow two days of $6 hoagies with prizes and giveaways on Friday and Saturday. The Center City opening puts Lee's in some competitive terrain, not only with Wawa just a few blocks away but with an abundance of sandwich and hoagies shops in the area. Primo's and Subway are both in the vicinity. For years, Lee's had a shop on 16th Street off Chestnut Street. The new store becomes the 20th Lee's Hoagie House location.